Business card etiquette can vary slightly between countries. In Japan, the exchange of business cards, also known as “meishi,” is an essential part of business etiquette and becomes a ceremony of sorts. You should carry your business cards in a professional manner, such as a business card holder, never in your pocket. This will keep your cards looking clean and crisp. 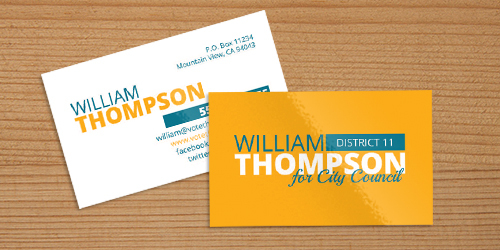 Your business card is a direct reflection of your business, so you never want to offer a bent or damaged card. Always offer your card with both hands upon the initial meeting. This gesture shows the utmost respect to the person you are meeting. If you are on the receiving end, keep in mind that damaging another person’s card in any way, (writing, bending, or tearing) is seen as very rude and disrespectful. Always thank the person and treat their card with respect. Never slip it into your pocket or purse. Instead, you should put their card in a safe place, perhaps a business card binder, or temporarily, your own holder. Should you find yourself in China, there are a few rules to exchanging business cards there too. Your cards should be dual-sided with English on one side and “Simplified” Chinese characters on the other. “Traditional” Chinese characters are exclusive to Taiwan and Hong Kong, so adjust your cards according to where you’ll be visiting. The Chinese culture highly respects age and rank, so if your company is the largest or the oldest in your country, be sure to add this to you card as well. Minor details are important in this culture. Always present your card with both hands with the Chinese translation facing up so that it can be easily read. In China, a business card represents the person you are being introduced to. It is customary to study the card for a short amount of time and keep the card on the table next to you so you can quickly refer to it when necessary. Just like in Japan, you should also never stuff someone else’s card into a pocket or damage it in any way. Place the card in a business card holder as a sign of respect to the person who gave it to you. When exchanging business cards in the United States, things are done a little different. You’ll still want to keep your cards looking professional in a business card holder since faded or dirty cards are a direct reflection of your business. While it is customary to always exchange business cards during the first interaction with a new contact, you should always wait for the appropriate time. Never start the conversation with your business card. Get to know your contact a little and wait until the conversation becomes business-oriented. This point of the conversation will let you know that this person is genuinely interested in your company and you can offer your card face up to them. If you are attending a formal business meeting, however, everyone should exchange cards before the meeting starts so that everyone is familiar with everyone else’s names. It is not considered rude to write on the empty spaces of a business card in the United States. It can actually make your potential clients feel appreciated if you write a person cell phone number or email address on the back before handing it to them. Make sure that you make it a point to exchange contact information and follow up within a few days of your meeting. Make a phone call or send an email to let them know you look forward to doing business with them. When you take the initiative to open the line of communication between you and your potential customer, it shows that you value the new found relationship. Remember these tips and you’ll guarantee a successful business meeting. Feel confident about handing out your own business cards? Have custom cards on hand at all times to make your best impression.